A recent per curiam decision by the Court of Appeals of Wisconsin (District Four) shows that commercial enterprises should, wherever possible, avoid oral agreements with individuals since, among other things, oral testimony as to the creation of the agreement can barred if the opposing party dies while the case is pending [see Midwest Landscape Garden Mart, LLC v. Metzger, 2016 Wisc. App. LEXIS 186 (4th Dist., Mar. 24, 2016). A landscaping company contended that it planted trees on Metzger’s land and that subsequently, Metzger orally gave the company permission to remove them. The company contended that Metzger later prevented the removal of the trees, so it filed a civil action against Metzger in which it sought an order allowing the removal. While the case was pending, Metzger died and a trust succeeded to the interest that Metzger and his wife had in the land. Attorneys for the trust sought to bar any testimony from company representatives with regard to any conversations that they had with the deceased related to the alleged agreement that would have allowed removal, citing Wisconsin’s dead man’s statute, Wis. Stat. § 885.16. The statute generally disqualifies witnesses from testifying about any transaction or communication pertinent to a legal dispute with a person who has since died. The circuit court agreed with the trust and barred the testimony. Without such testimony, there was no way that the landscaping company could prove that the contract allowing removal. The Court further acknowledged that the statute had long been subject to criticism. For example, the Court said that Wisconsin’s Supreme Court had frequently expressed its feeling that the dead man’s statute rested upon an archaic view of the law. The Court concluded, however, that the statute remained the law in Wisconsin and, therefore, the courts were bound to apply it. Hindsight is always 20/20, of course. 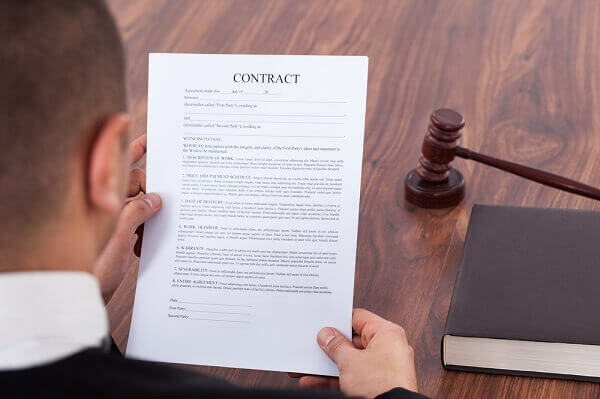 Nevertheless, had the landscaping company reduced the agreement to writing and had it signed by Metzger, the contract could have been established and a great deal of time and money could have been saved. The takeaway: Oral agreements are exceedingly fragile; wherever possible, rely on a written agreement. The dead man’s statute may sound like a technicality but, as can be seen in the Metzger case, it still has application in Wisconsin commercial litigation. Is your business involved in any dispute with another party? Are you currently involved in any sort of commercial litigation? Contact the Kerkman Wagner & Dunn, a Milwaukee business litigation firm with more than 50 years of combined legal experience representing business owners in Wisconsin. Our firm has big firm talent and provides small firm attention. Call us at 414-278-7000 or complete our online contact form.